Step 11 is making your website look good. You need to know this. How will know if it's successful? Is it a certain number of downloads? Is it a certain number of sales? Is it to position you as an expert? 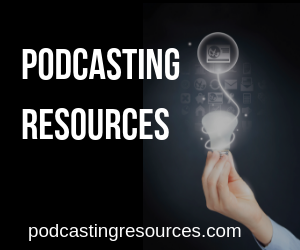 Does Your Podcast Move You Toward Your Goal? So if the goal of your show is to help build an email list, did you remember to tell people about your list. If it's to build your consulting clients, did you mention you are available for consulting? Has Someone Who Is Your Target Audience Given You Honest Feedback? Have You Checked to See If You Are Unique? There are at least five shows named “outside the box”, and six shows named, “The Feed.” If you name your show identical to another show, not only may you be opening the door to legal action, but these people have a head start and you will have a hard time ranking for that phrase. Artwork: The artwork is SQUARE with a minimum dimension of 1400X1400 and a maximum dimension of 3000X3000. The FILE SIZE needs to be less than 500 kb. Failure to meet these specifications can get you rejected, and cause your show not to update, and in some cases get removed from Apple. One published episode. You can't upload a bunch of episodes as drafts, submit your show to Apple and other directories, and the flip a switch. While many people will tell you to launch with 3, 4, 10, 30 episodes, I'm here to tell you that you can launch with as many as you want (please note they DO NOT automatically download when someone subscribes, your audience needs to manually download them) but you only NEED one. Once you are listed in the directories, then you can pick your date and start building the buzz (OK, you can start building the buzz when you submit to the directories). A musician is not going to plan a CD release party (remember those), or an author won't setup a book reading and autograph session until they have their products in their hand. With this in mind, I strongly suggest you do NOT pick your date until you are listed in all the directories. Did You Know Siri Can Help You Subscribe to podcasts? Get on Facebook live and ask Siri on your iPhone to subscribe to your podcast. Most of the time she gets it right. Make sure you have your Twitter, Facebook, Instagram, etc ready to go with graphics, etc. There is a tool called thunderclap.it which enabled you to work with your friends so you can post a tweet on their account and so your message goes out to a huge group of people at the same time. As I write this thunderclap.it is having issues with their website (and may have gone out of business). With this in mind, supply your group of friends with a pre-written tweet that they can retweet, etc. If you want your podcast to be a business eventually, then you better write a business plan on how you're going to be different, better, and more successful than your competition. I will say that it takes YEARS to generate a sizeable income. In the book “beyond powerful radio” by Valerie Geller she points out that it takes three years to build an audience on radio. Wil Schroter is the Founder + CEO @ Startups.co say that it takes at least 4 years just to get pointed toward a real business. According to a post on Quora.com Amazon started in July 1994. They reported their first profit in Jan. 2004 for the last quarter of 2003. With this in mind, get ready for the long haul. This is not a sprint. It is a marathon. You only need one episode to launch, but many people launch with three. Use the right tools, and make sure you are following image guidelines. Not checking to see if the podcast name is already in place. Thinking a “Big launch” equals a big success. This is like saying a big wedding will lead to a happy marriage. Worrying about Apple charts, and new and noteworthy. Focus on your audience, and make it easier to interact with you instead. The charts do not deliver much of a boost, and their validity is under suspicion at the moment. 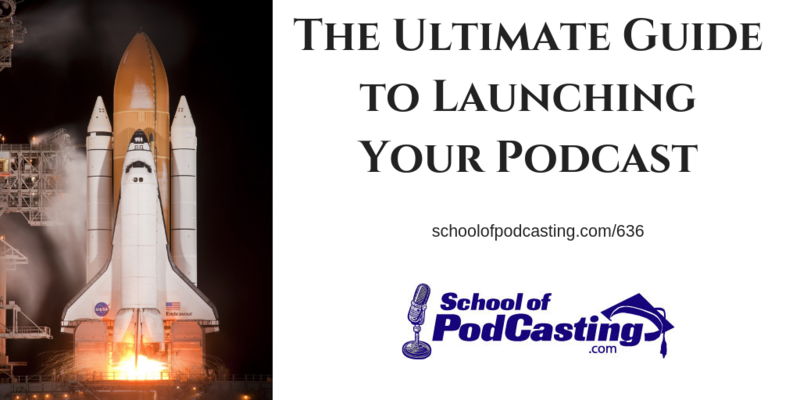 Want Some Help Launching Your Podcast? A very well-written and detailed post. Kudos to Dave for his in-depth research. Just one thing that I would like to add here is, if you have the content for podcasting but not the voice that matches the content then it is best to hire a professional artist. This would ensure that you attract more visitors leading to a higher ROI.